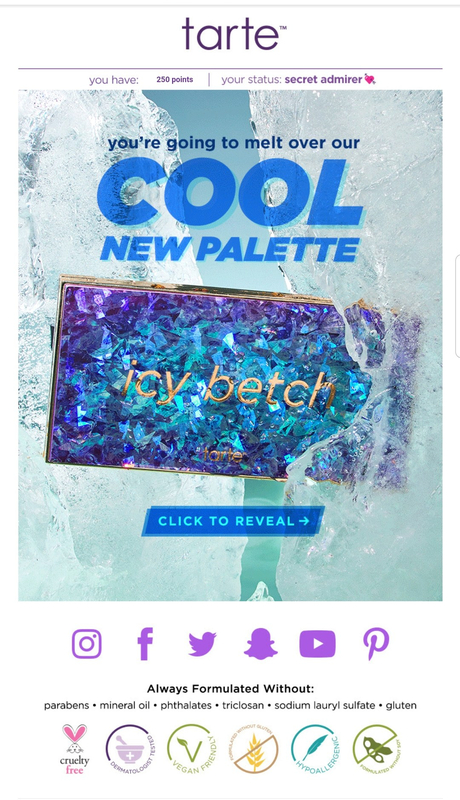 So here we are, a year later, and Tarte has actually released an Icy Betch palette. When they announced it I laughed. My first thought was that this is the year of too little, too late for Tarte. It’s like the executives at Tarte got drunk one night and thought it would be a great idea to tank the brand. First it was the “new and improved” Shape Tape (Face Tape?) foundation that no one asked for after last year’s debacle. I mean, we asked for it then but didn’t get it. So people canceled Tarte and moved on. But they’re trying it again, and I haven’t heard much about it, and that’s never a good sign. And now, it’s Icy Betch’s turn. I’ll admit, I was curious. 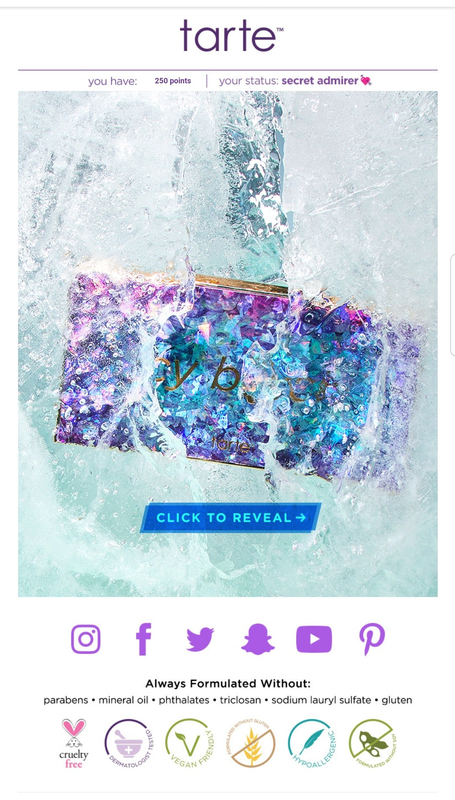 I really liked the palette they promised last year, so when I got the promo email today with the big reveal, I opened it. There have been very few times in my life when I’ve literally facepalmed. This was one of them. 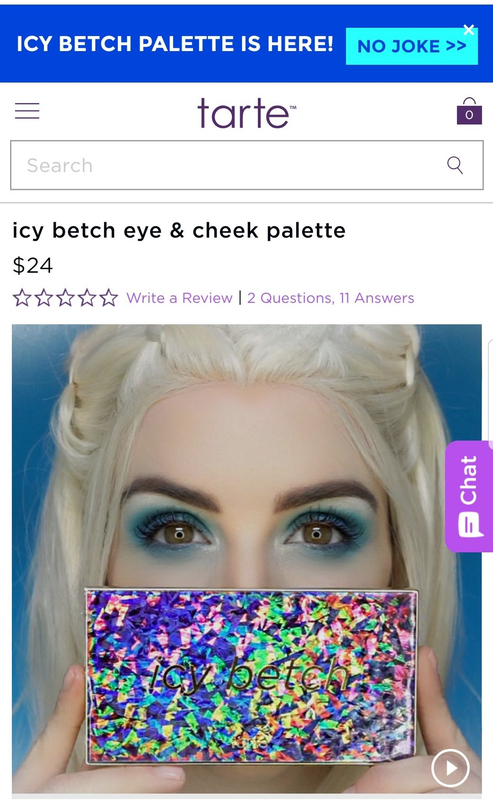 Behold dear readers, the Icy Betch Eye & Cheek Palette. Ughhhh. What even is this. First and foremost, what is with this layout? I’m not one of those people who needs to have palettes be perfectly symmetrical, but this is ridiculous. 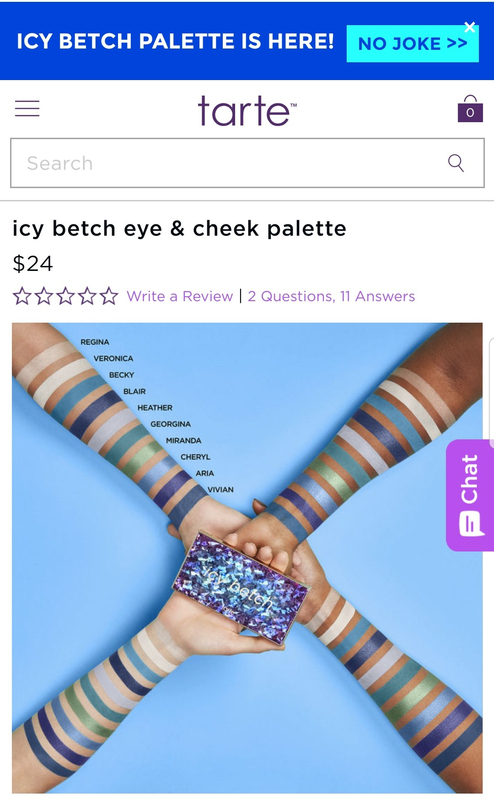 And when did we say we needed it to be a cheek palette? What happened to the mock-up from last year that we liked? The packaging is really pretty, and this is a huge departure for the brand, so… ok. Also, it’s nice that they didn’t jack the price way up. But I don’t think that any of those things would spur me to purchase this, and y’all know that it doesn’t take much to get me to spend money, even though I’m supposed to be on a “smart buy”. Tarte, why? Are you guys ok? Should we schedule an intervention? I mean, at some point you need to get it together. I was kind of into the High Tides & Good Vibes palette. I thought it was a solid palette, and gave me hope for the brand. That came out in the last month. What is this? I hear good things about the foundcealer, but it makes me sad that they can’t give us the products that we scream for. 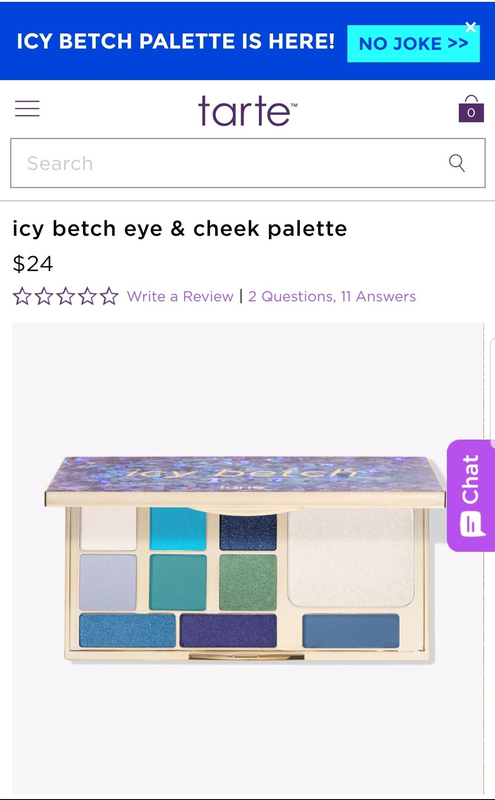 Like, where is the palette they joked about? I would 100% throw money at them for that palette.